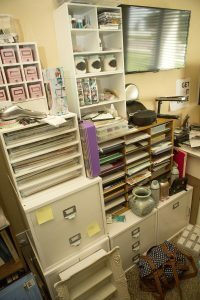 My name is Amy and I am a hoarder (EEK! Admitting that is so hard!). 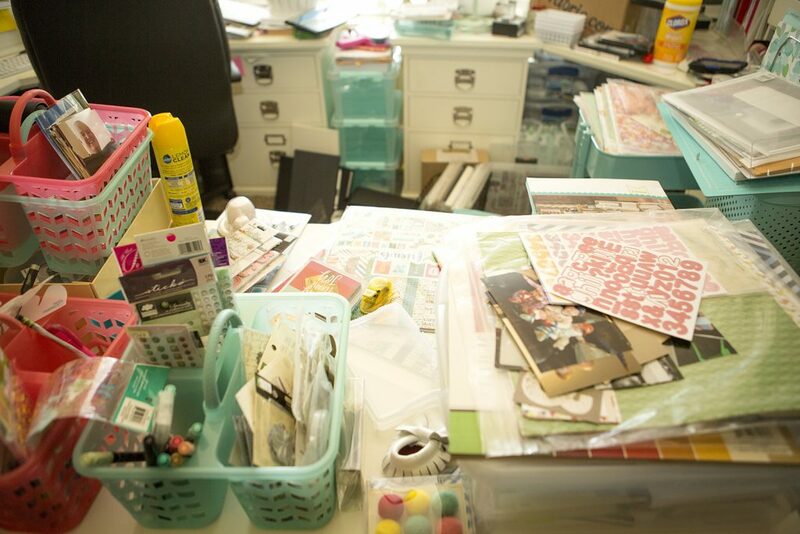 I love to craft, but somewhere along the way I found myself with way too much stuff and too little time. 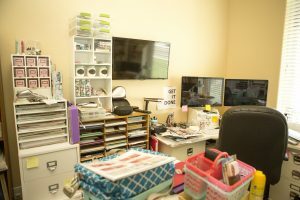 Three moves, and three KIDS later, I basically have to crawl into my office/craft room, my kids have way too many toys and they are scattered everywhere, and instead of a cute home I am bogged down with clutter. 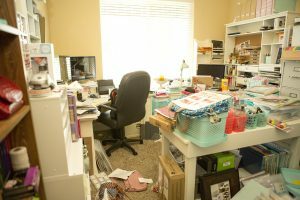 I have found myself buried in a house full of furniture, electronics, scrapbook supplies, and empty organizational tools…empty, because a part of me has known for a while that I needed to try and make sense of the mess – leading me to purchase things to help organize my life – but I just didn’t know where to start. And so they sit there, empty still. I have started to organize my house a MILLION times, but it always ended up the same or worse. I knew that all of my “stuff” was making me (and my family) miserable. I finally admitted to myself that I was a bona-fide hoarder (which is the first step!) and that in order to be happy I would have to let a lot of things go, probably sold for a fraction of the price that I paid for it, or donated for a tax write-off. But the thought of starting such a massive endeavor was overwhelming to me! I have three kids under the age of three and not enough time to do anything! There was no way that I would have enough time to make a dent in things…not enough to make a difference anyway. Sadness set in and I was at the point that I was ready to rent a dumpster and just throw it all away. Then, I started talking about my mindset at work. Susan started giving me little tips here and there…things that she used to control the clutter in her life…AND THEY WORKED! I‘m not that shocked that they worked for her; she is a superwoman. She runs a company, has five kids, and is still active with friends and church. I am shocked, however, that they worked for me! A few days after making some exciting progress in reducing the baby-related paraphernalia in my house, I approached her with an idea about tackling my office. I told her that I didn’t think that I was alone in feeling this way and I thought she should help me, and share the process with others, and maybe we could help a few other people along the way. She agreed and we decided that we would turn this into a series of blog posts. This series is not going to resemble an hour long show where trash becomes treasure. Real life doesn’t work like that! 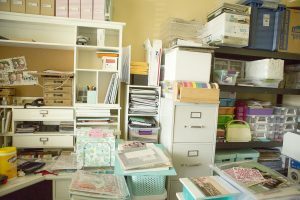 After watching all of those shows about decluttering your life, I think that we believe it can all be done in record time and then, when we prove that idea wrong in our own lives, we give up. Don’t kid yourself, this is going to be hard! REALLY HARD! You might cry a little bit (or a lot!). You may have to stop and breathe into a paper-bag for while. But if you are willing to join me, I am going to attempt to carve happiness out of the chaos, and hopefully we will all learn a lot along the way! So, be sure to join us on this Journey to simplicity and happiness, using some useful tips that have worked for someone who didn’t think anything would work for her. 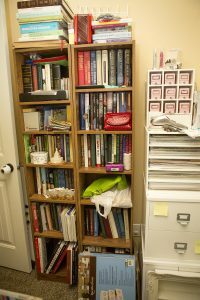 Helpful tips; I’m not a crafter or a hoarder but DEFINITELY fall in the clutter category with too many books and papers, as I’m a writer who happens to share your same name! Guilty as charged, and then some. 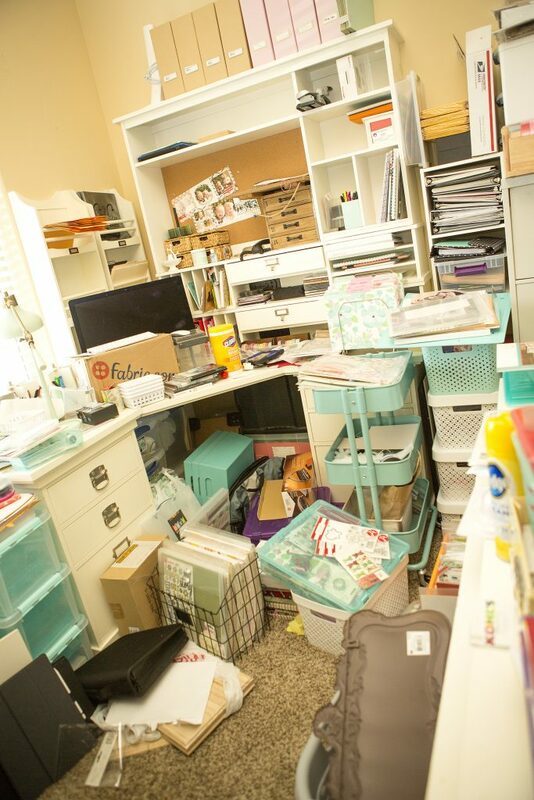 You are a very brave woman to not only admit you’re a hoarder, but even braver to take this journey publicly. Can’t wait to start? Hi Amy! I feel your pain. While I was reading your post, I was agreeing with every sentence you wrote. 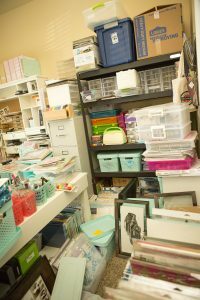 When I can, I have been organizing my studio/scrapbooking room according to Totally Tiffany, and that has been going well but really slow. My stumbling block is the rest of my house. 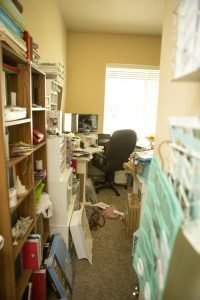 I feel guilty getting into my studio if the rest of the house is a mess, so I never get into my studio. I have all of the Kiwi Lane Templates, but I have only made 2 two-page layouts because I am trying to work on the rest of my house. 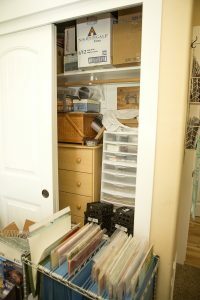 I am guilty of hoarding, over-containerizing, redoing rooms over and over, and buying more furniture without getting rid of the old. When you get your house done, come do mine! I am really looking forward to this series, your progress, and whatever tips you, Susan, and the rest of the Kiwi Lane family can give us. And I am so looking forward to getting back to scrapbooking and using all of my awesome Kiwi Lane templates! I, too, have found myself to be a collector of craft supplies rather than a user of them, because it was easier to go buy something I knew I had rather than try to find it. BUT, there is hope! 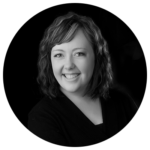 Please take a look at the 4-section system that Tiffany Spaulding teaches. It is a brilliant, simple method of categorizing and storing your “stuff”. The big thing is that containerizing doesn’t work well. I have been working my way through my stamps, dies, paper (and more paper and more paper), pens, inks, and photos and, although I am not done yet, I can put my hands on a particular die, stamp or embossing folder within seconds. I have a catalog of all these items, divided into themes or seasons, so I simply go to a particular section, decide what stamp I want, and pull it out because both the catalog image and the stamp set are numbered. Tiffany sells a Scraprack, however she explains other ways you can store these items even if you don’t use the Scraprack. Her site is http://www.totally-tiffany.com/ and there is a tab called “classes” – that’s the place to start. Her videos (her classes are free as are the videos) are on YouTube as well. It has been a game-changer for me and most of find ourselves “Tiffanizing” our entire houses. 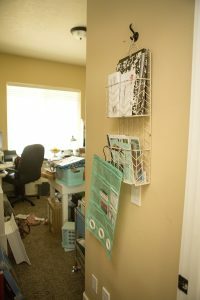 Once you start taming the craft room beast, it becomes infectious and so much easier to let things go. Good luck to you however you decide to proceed! Thanks for the link, I am going to check it out. Looking forward to this, my craft room looks like yours. I am just over whelmed and don’t know where to start. I say all the time I am missing that organization gene. ? Can’t wait to watch your progress. I, too, am a hoarder and will follow with interest! Hoping to get some ideas, tips and motivation. I will be following along hoping to find some tips and motivation. My space looks like yours, but with lots less cute color coordination. I’d appreciate a jolt and encouragement to tackle my hoarding tendencies and clear the clutter! When’s the next post? We can do this Amy….and we will feel great AFTER THE PROCESS IS OVER!!! ?❤?